8 Tips For How To Sell Your Ad Agency - Peter Levitan & Co.
About 25% of the ad agency owners I talk to are thinking about when and how to sell their advertising / design / digital agency. In the case where the agency is very strategic and deliberate in how they plan their business, this is a very good goal. See #2 below. Two things come to mind when an owner tells me that he wants to sell his agency. 1) Selling an ad agency is a difficult proposition. I have bought and sold three agencies. I bought two because of the excellence of the work and knowing that I could retain the selling agency’s clients. In one of these cases, I also wanted a major lifestyle shift and moved from New York to Oregon. In the case of my 2009 purchase of Portland’s Citrus (a sports marketing specialist), I knew that the agency’s owners had very deep personal relationships at Nike and that Nike was happy that these execs would be staying put for two years after the sale. I also knew that we would be in a position to add more Nike business by creating a stronger and larger agency. I was right. When I decided to sell Citrus five years later, I recognized that selling our ‘full-service’ agency positioning was not particularly a hot concept. I didn’t have the personal juice to work on reinventing the agency. LOL coming… I also knew we would not be a target of a multinational. A rather huge understatement. Therefore, we positioned ourself as a profitable addition to another local agency. We quickly sold to a Portland agency that wanted our client base (including Dr. Marten, Nike, Harrah’s, Boise Paper, Montana Lottery and Providence Health & Services (a 60,000 employee 5-state health care organization) and staff (our creative and strategic chops were better.) I had also taken the owner + client relationship out of the equation by not being the point person on any of our accounts. So… why is it difficult for most owners to sell an agency? Most agencies do not have strong balance sheets or P&L’s. Selling a service business that is based on ‘transient’ clients is difficult. In a world where most client jobs are projects, proving client longevity is a tough task. The agency is not distinctive and does not have a ‘special’ something (skills, positioning, work, staff, long-term client relationships, geography) that another agency will need and want. 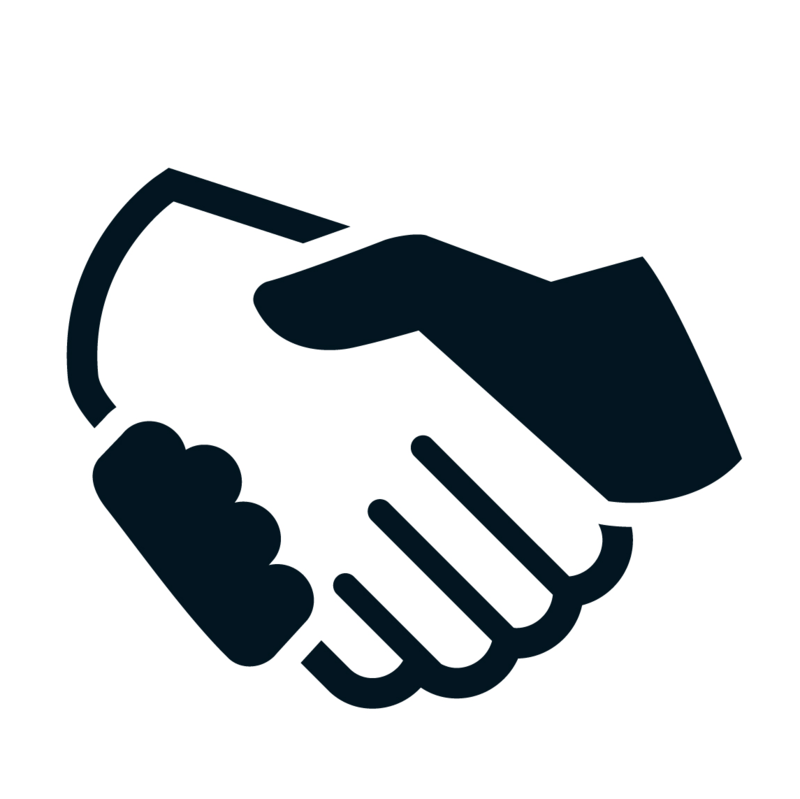 Many client relationships are with the agency’s owner or management team. Will these relationships easily transfer to a buyer? Agency holding companies have slowed down their buying. And, have concentrated on buying advertising technology companies. Finally, it isn’t easy to sell a company where the assets walk out the front door every day at 6PM. 2) Just wanting to sell an agency is an excellent way to begin to build an agency that is actually sellable. Now, lets turn this problem around and call it a great opportunity. I love it when one of my business development clients tells me that they would like to build or rebuild their agency to create value for an eventual sale. This is a clear and compelling business objective that focusses the mind on creating value. You would think that creating value is on everyone’s mind. However, many agencies are just hoping that they will land a profitable new client next month. Agency vision is generally no more than three months out. What are agencies worth? This is a tough one but typical agencies are valued at at 2-5 times EBITDA (I mean realistic EBITDA that includes having the CEO actually paying himself and other agency mangers what they are worth). Digital firms have higher multiples at 8 plus. The digital sweet spot is a firm with technological prowess, owned IP, strategic vision and industry leading expertise in a hot category like mobile, social, etc. So… how can you build an agency that someone else wants to buy? A good start is to take a look at what kinds of agencies or digital media companies have been purchased in the past couple of years. CREATETHE GROUP, recently named one of the Top 10 Most Innovative Companies in Fashion by Fast Company, partners with forward-thinking brands to deliver innovative and emotional campaigns, communications platforms and e-commerce solutions that maintain brand integrity in digital, mobile, social media and emerging technologies. CREATETHE GROUP’s next-generation digital commerce platform, CTS PLATFORM, powers digital flagship experiences across channels, seamlessly integrating global commerce, community functions and uniquely branded content. The agency’s rooster of top luxury brands includes Marc Jacobs, Donna Karan, Oscar de la Renta, Bulgari Hotels and Resorts and DeBeers. The technology purchase. The CRM firm Merkle recently purchased New Control. New Control is a full-service digital and direct marketing agency that created a proprietary campaign development methodology to deliver industry-leading response and conversion rates. New Control brought creativity, tech skills and a sweet agency roster that was viewed as ‘long-term’. Merkle selected New Control due to its singular focus on driving results through a proprietary campaign development methodology that generates industry-leading response and conversion rates. The 18-year-old agency’s capabilities and digital expertise align closely with those of Merkle. Its strategic consulting, multi-channel creative development, media planning and buying, digital production, and data analysis skills will help Merkle further scale its own integrated addressable agency capabilities. Another commonality is an emphasis on building long-standing relationships with the top-tier brands that New Control brings to the table, such as Chase, Canadian Tire, Fifth Third Bank, WellPoint, PNC Bank and Visa. The geographic purchase. The digital marketing agency VML acquired 10-year-old Chinese social media agency Teein in 2014. It was VML’s second purchase in China in less than a year. Why China? Do you really have to ask? With the addition of Shanghai-based Teein, which has 170 employees, China will be the second-biggest location after the U.S. for Kansas City-based VML, which is part of WPP’s Young & Rubicam, VML entered China less than a year ago, when it purchased Chinese digital agency IM2.0 in October 2013. Global agencies have been in hot pursuit of independent digital and social shops in China, which has the world’s biggest number of mobile phone subscribers and internet users, and where local know-how is especially crucial. The digital purchase. Digital agencies have seen the most M&A activity. However, as more buying agencies have acquired their own digital expertise, buyers will be looking for digital shops that have one or more of… demonstrable expertise, high practice excellence, IP and sound financials. Just claiming that you are a digital agency, unless you really have demonstrable industry leading creative, take a look at Portland’s Instrument as an example, and strategic skills or a killer blue chip client roster, will be increasingly difficult. Let’s face it… everyone is now a digital agency. However, finding a niche in this broad category will get you moving in the right direction. Bottle Rocket creates the highest quality iPhone, iPad and Android apps for leading brands. The company’s apps have won numerous industry accolades including multiple Apple Hall of Fame awards and frequently appear at the top of their categories in the App Store. Coady Diemar tracks M&A deal activity in eight sectors of the Digital Media, Information & Technology market as presented in the following chart. The three sectors with the greatest number of announced transactions in 2013 were Agency & Marketing, Information and Digital Content, the same three most active sectors during 2012. Each experienced substantial growth in number of transactions in 2013 compared to 2012. Now, look at the growth in mobile related purchases – I think that this will be a major sweet spot. On a dollar value basis the three most active sectors of 2013 were Digital Content, Agency & Marketing and Information. The three sectors that demonstrated the highest percentage increase in deal activity were Ad Tech & Services, Mobile and Agency & Marketing. The top three most active acquirers during 2013 were WPP, Yahoo! and Publicis. How to sell your ad agency? Start with these 8 tips. Know why you want to sell. Easy? I am not so sure based on lots of conversations with agency owners and management. One key reason shouldn’t be that you will get a big payday. This is a rare occurrence. Step out of your shoes and find a way to leave your subjective perspective behind. Ask yourself why and, importantly, if you would ever want to buy your agency? Work on your financials. Tune up your balance sheet and manage your accounts, receivables and costs. Begin to think about jettisoning your lowest margin clients. Up your utilization rate. Have you been undercharging and over delivering? This will come out and haunt you during the due diligence process. If you are not in a hurry to blast out your front door and leave the agency behind (by the way, this isn’t a bad idea for many owners), then ramp up a strategic business development program to add the clients that will add value to your agency. This has to be a dedicated 2 to 3 year commitment. Consider shifting your business proposition and model. Unless you are mired in doing radio campaigns, think hard about what buyers want and build an agency that meets that need. me? I’d go digital or video. I’d certainly think hard about adding programming expertise. Hone your brand position. Be honest about your branding. I don’t just mean your agency logo and tagline. I mean your holistic brand experience. Do you look interesting and, yes, even cool to the outside world? Are you doing anything different with how you present the agency and its thinking? Does your website stand out and demonstrate your passion? As I mentioned earlier, get way past your subjective view of the ‘value’ of your agency and put yourself in a buyer’s shoes. I used a simple SWOT analysis to determine if I should have bought the two agencies I bought. Pretend you are the buyer. Be real. How good does your agency actually look from the outside? I’ve written over 600 blog posts on how you can grow your advertising agency. Head over here to see the complete list. More??? Here is a big tip. Want to grow your value? Then win more new business pitches to bulk up your agency for an eventual sale? 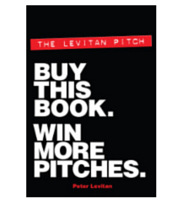 Just go to Amazon and buy: The Levitan Pitch. Buy This Book. Win More Pitches. This entry was posted in Ad Agency CEO, Marketing, New Business, Pitching and tagged ad agency, branding, Pitching. Bookmark the permalink. Trackbacks are closed, but you can post a comment. Great advice throughout. Additional tools for those wanting more info: Selling Your Business For Dummies, which blueprints the whole business preparation and and sale process (people can read the first chapter for free on my website, bizstrong.com) and the Guide to Selling Your Small Business, which I wrote for BizBuySell (available for free download at bizbuysell.com). Once again this is a GREAT article. You always give me great insight. Good site, look my site https://www.cypruslegend.com. I want to sell my agency. Thank.